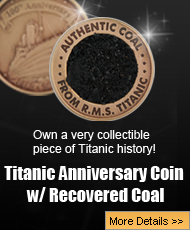 2015 marks the 30th anniversary of when Dr. Robert Ballard found the RMS Titanic. Ballard, and his team from Woods Hole Institute found the famous ship on September 1, 1985. The documentary, Secrets of the Titanic is a documentary that showcased the search for the famous ship. It took Dr. Ballard, and his associates, almost two months of non-stop searching to find the biggest ship in the world, and once they found her on that early morning, their lives changed forever. Seeing the Titanic, with all of her beauty long gone, touched all of their lives especially the man who found her. Finding the RMS Titanic was not easy, but the thrill of her discovery was short lived when the implications of what he had truly done came back to Dr. Robert Ballard the moment he got home. When people work their whole lives for a goal, and then that goal is actually fulfilled, then it can be quite hard to deal with. 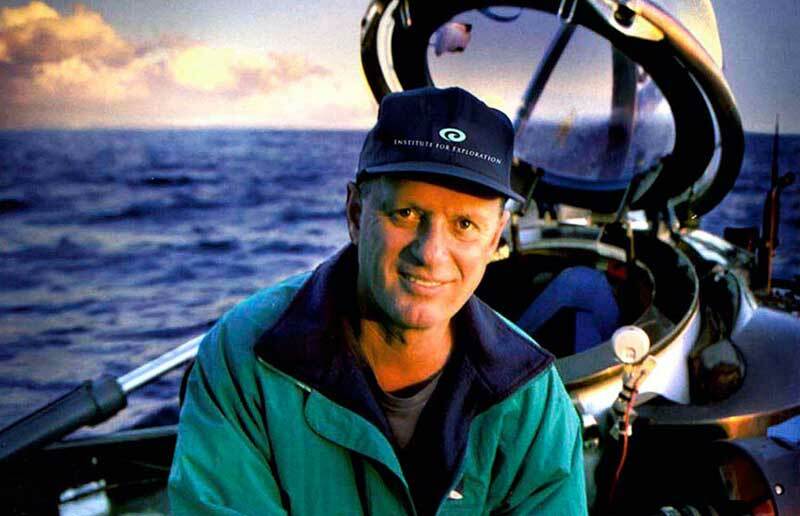 When Bob Ballard got home, it refused to talk to anyone about the RMS Titanic because it was very hard for him. While still on the ocean, he and his crew mates had a service on the ship to pray for the dead, but it was not enough to make him feel any better. 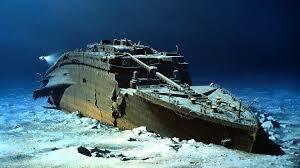 According to the Secrets of the Titanic video, Ballard states, “when we came back, I wouldn’t talk about the Titanic for four months, I just wouldn’t talk about it with anybody. I just went and hid.” However, after enough time had passed, Ballard was able to finally go over the expedition and exactly what they had found two and a half miles down on the bottom of the ocean. On the very first dive to Titanic, Bob Ballard, and two of his associates ran into a little trouble. The sub they were in had thick steel walls and windows, and they had to be because the pressure down that far was enough to crush a man in an instant. These men were risking their lives to see a ship that had been down on the bottom of the ocean since 1912. By the time the three men arrived at the bottom in their sub, they only saw the bow of the Titanic for a split second before they had to abandon the dive due to technical issues with the submarine. So Ballard only saw the Titanic briefly before leaking batteries dictated that it was time to head to the surface. The next day, Bob Ballard finally got his submarine fixed, and he and his two companions once again headed to the bottom of the ocean. However, this time, everything went according to plan, and the beautiful ship was finally right before him. The first thing that shocked the seasoned explorer is that the decks were not intact, but the remnants that held the wood together that is all that remained. There is no organic growth on the ship’s surface, but long rusticles that go all the way out into the sand. Also the bridge is smashed, the only trace of it left is the bronze wheel pedestal. Though deep in salt water, the bronze is unaffected and still shines as bright as it did in 1912. Once Ballard did a little exploring, he sought out to map the whole area to see what was there. This was when Ballard discovered that the ship was actually split into two pieces, which is exactly what a lot of the eye witnesses to the disaster stated. Though no one believed the eye witnesses unless it was the word of an officer. Charles H. Lightoller did testify that he saw the Titanic sank, but was very adamant that the ship sank intact. However despite what Lightoller thought he saw, Bob Ballard discovered the truth about the ship breaking apart. Now, the bow and stern were almost 2000 feet apart, and lying between them, was a lot of debris that spilled out of the big ship as she sank. 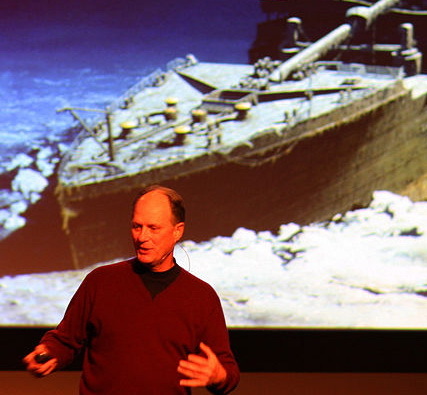 In the time Bob Ballard spent on the Titanic wreck, he learned a lot about it, and shared his findings with the world.